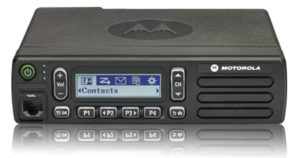 Motorola CM300D – Radio Express Inc. Your people are on the move, delivering cargo, picking up consignments, driving children to and from school. You need to keep them in touch and on track efficiently. And you want to make sure the radios they use are as affordable and adaptable as possible. Now there are flexible mobiles that give you great voice communications today, and a path to crisp and clear digital voice communications when you’re ready. 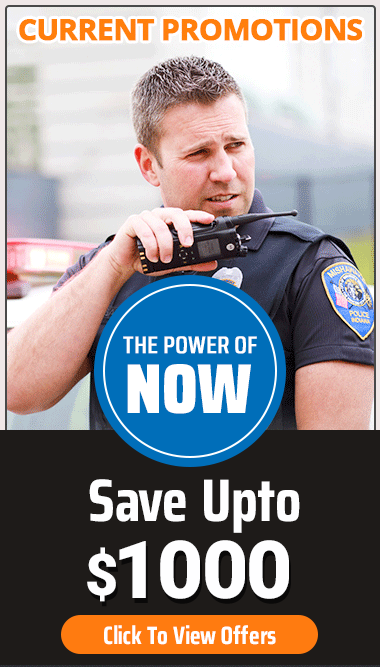 Versatile and powerful, MOTOTRBO™ combines the best of two-way radio functionality with the latest analog and digital technology. The MOTOTRBO portfolio offers the right device for the right user, from voice-only portables to feature-rich voice and data radios. 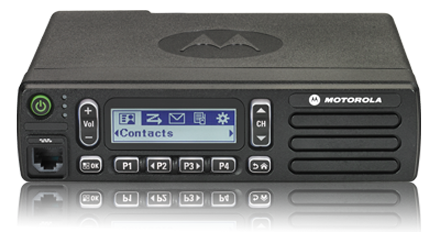 The rugged MOTOTRBO CM300d™ is available as an analog/digital mobile radio that offers all the benefits of the CM300™ and also has the latest technology – from superior audio to feedback suppression. These affordable mobiles are compatible with MOTOTRBO features you’ll find are business essential, like Voice Announcement and Radio Management. With its bright, high contrast alphanumeric screen, the CM300d allows drivers to see important information such as caller ID at a glance.